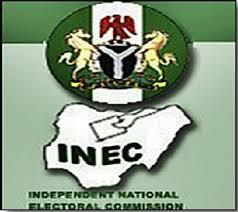 The Independent National Electoral Commission (INEC) on Friday said it had expunged 299 names of aliens from the voter register. He said that INEC was working hard to address all the challenges currently facing the ongoing Continuous Voter Registration (CVR). He assured all registered voters and those intending to register, of getting their Permanent Voters Card (PVC) before the 2019 elections. In his remarks, the National Security Adviser (NSA), Maj.-Gen. Babagana Monguno (retd), commended the commission for maintaining sanity in the electoral process in the country. Represented by the Director, Internal Security, Mrs Peace Abdalla, Monguno said that preparation for elections at state and federal levels were on top gear. He said that he remained committed to working in unison with the commission to achieve best practices in electoral process across the nation. Monguno said that the consultative meeting was poised to achieve the set target of free, fair and credible election.